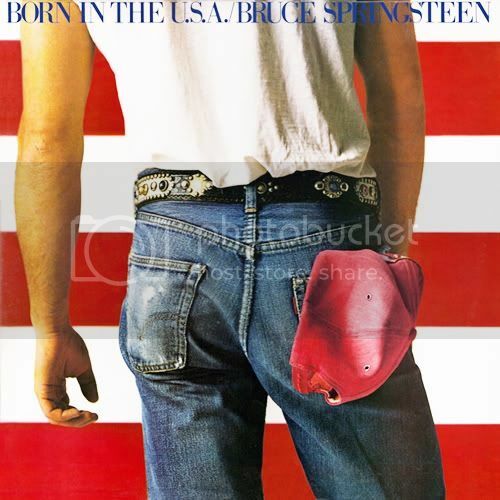 I haven't listened to Born In The U.S.A. in its entirety since....well, since maybe 1984 or '85. It's not that I ever thought it was a bad album, it was just that this was really my first Springsteen album I ever owned and I got it specifically for Dancing In The Dark and would play that song over and over. The album is of course more than just that song. A lot more. It spawned 7 Top 10 singles and can be looked as an unofficial Greatest Hits package. I was a little bit hesitant to listen to this one from top to bottom after such a long time. Would it hold up after so many years. In a word...'Yes'. Other than a couple of songs that I would call "Filler", which any other artist would be lucky to have on their own albums, Born In The U.S.A. as a whole really does flow seamlessly from one song to the next. The reason why I call songs like Downbound Train and Bobby Jean 'Fillers' is that they get overshadowed by the likes of the Born In The U.S.A. , Cover Me, I'm On Fire, I'm Goin Down, Glory Days, Dancing In The Dark and My Hometown. That's a lot of great songs on just one album, so there are bound to be songs that just don't reach the apex that some of the others do reach. 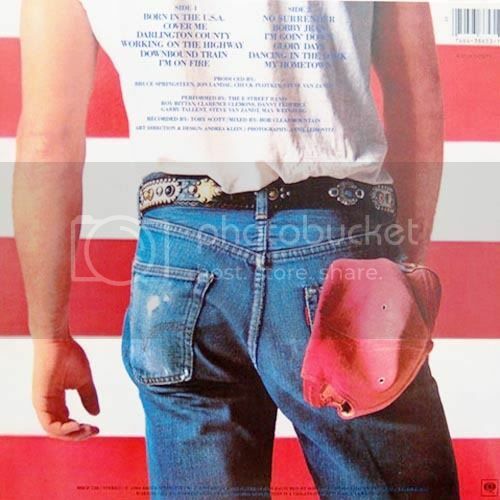 Fave Songs: Born In The U.S.A. , I'm On Fire. Glory Days and Dancing In The Dark. I will say that Born In The U.S.A. is easily the best song here and his best song ever. No if,and's or buts about it. The Album cover is Epic. Iconic. One for the ages.